How many calories a day does a dog need? A good starting point to establish your dog’s calories needs is to determine the total calories they are currently getting each day in the form of food and treats. Then determine their body condition score (BCS) and muscle condition score (MCS) to evaluate whether your dog needs the same (maintenance), or more or less calories each day. You should work with your veterinarian to determine your dog’s BCS and MCS and his/her ideal weight. Dr. Patton (cuts the carbs!) The problem with dry dog and cat foods are the high carbohydrates. Many veterinarians and nutritionist recommend if your dog or cat is overweight cut the carbs! 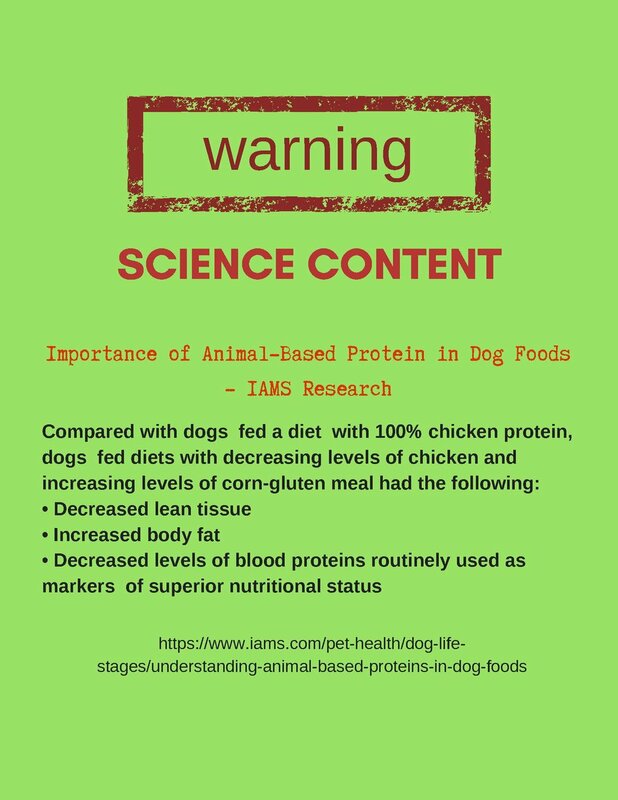 One challenge when searching for dog food for a dog with a moderate activity level is finding one that has a percentage of fat that is no more than 50% of the protein listed. Higher fat diets are a great energy source for active dogs but most dogs will get more calories than they can burn on a high fat diet. For dogs that are overweight I would avoid foods marketed for the “less active” dogs. If you checked the label you may find that this food has the same calories or more than the food you are feeding now. Many of these foods contain a high fiber content which can reduce the overall digestibility and insoluble fiber like cellulose can reduce mineral adsorption. High fiber can lead to increased need to defecate and a larger volume of feces. Instead I would limit treats and slightly reduce the amount of food feed, and increase their daily exercise. There’s an old saying, if your dog is fat you’re not getting enough exercise! Laverdure, Diana. The Canine Thyroid Epidemic Answers You Need For Your Dog (Kindle Locations 1030-1032). Dogwise. Kindle Edition.